This is one of the easiest lunch/rice recipes. Perfect for summer afternoons, paired with a cucumber or onion raita and a cruncy papad. Fresh mint flavors this rice, I don’t add cilantro as I want the flavor of mint to be the dominant one. This is yet another variation of the more/moar kozhambu, made with buttermilk. The first variety is a simple buttermilk recipe blended with coconut, green chilies, and jeera and tempered with coconut oil. This one is a slightly more elaborate version of it, with soaked dals, toasted urad dal and chilies, methi seeds, and of course coconut and green chilies! The name varutharacha (varuthu + araicha) gives away the recipe – varuthu is to fry, and aracha means ground. Other than the frying of spices which takes a few minutes, this is a quick recipe just like the first variety. This recipe is from the collection of “Samaithu Paar” Volume 2, by Meenakshi Ammal. Ah! What can I say about puliyodarai that hasn’t been said. 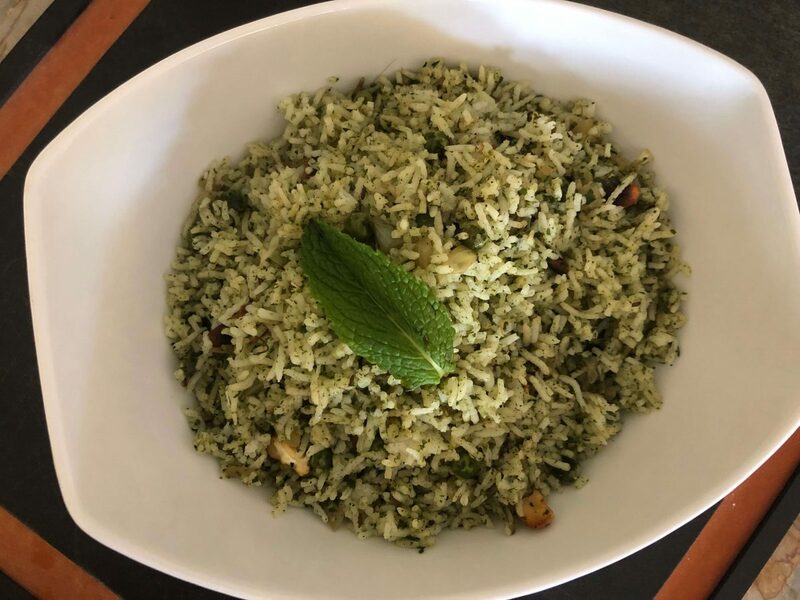 It’s a kind of mixed rice, what we call “kalanda sadam” in thamizh. 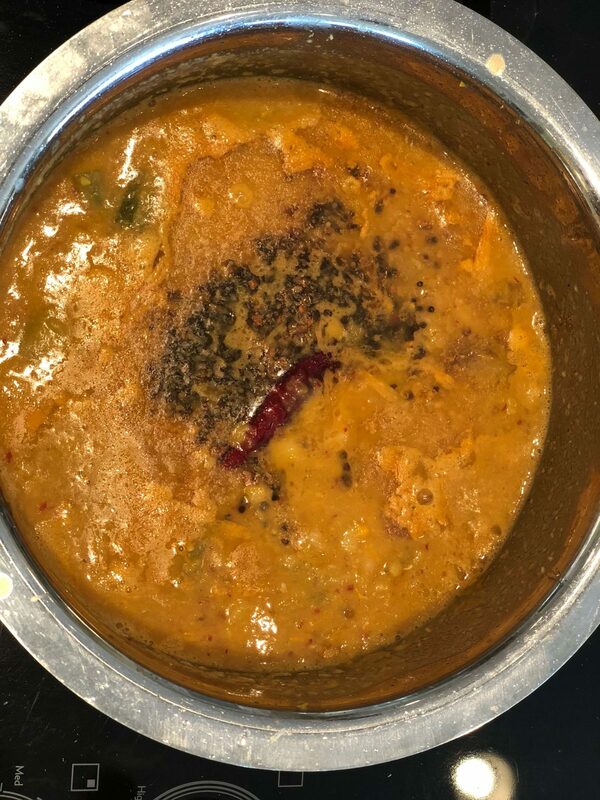 The gravy that it’s mixed with is made up of tamarind extract and a spice mix that has chana dal, red chilies, coriander seeds, a little bit of black pepper, and most importantly, sesame seeds. These spices are toasted in a bit of oil, preferably sesame, and made into a powder. The tamarind juice is boiled with a bit of oil, hing, chana dal, red chilies, and curry leaves and made into a thick paste – this is called pulikachal. It’s then mixed with rice, a bit of the spice powder, and tempered with more hing, curry leaves, and roasted peanuts. Heaven! It’s a very popular prasad in many temples, travels really well, and is part of the meal on one of the pongal days along with coconut rice, and yogurt rice, and fried papads, vathals. The most important thing to note about puliyodarai is that it needs sesame oil, and sesame oil only. None other will do if you want authentic puliyodarai. This specific version is the Iyengar version as I’ve learned. The Iyer version stops with making the puli gravy with chilies, curry leaves, methi powder and hing. At that stage, it can be mixed with rice and eaten. The Iyengar version goes one step further and adds this beautiful spice powder, the dominant flavor there being sesame seeds. This is a very simple, but amazing dish of pasta stuffed with spinach and ricotta/mozzarella cheese. Most ravioli we get in restaurants and grocery stores have eggs in them – either in the pasta or in the stuffing. We wanted to try it without eggs since we know pasta doesn’t really need eggs and our family typically tries to eat without eggs. This was a labor-intensive recipe, but simple. My daughter did most of the work. 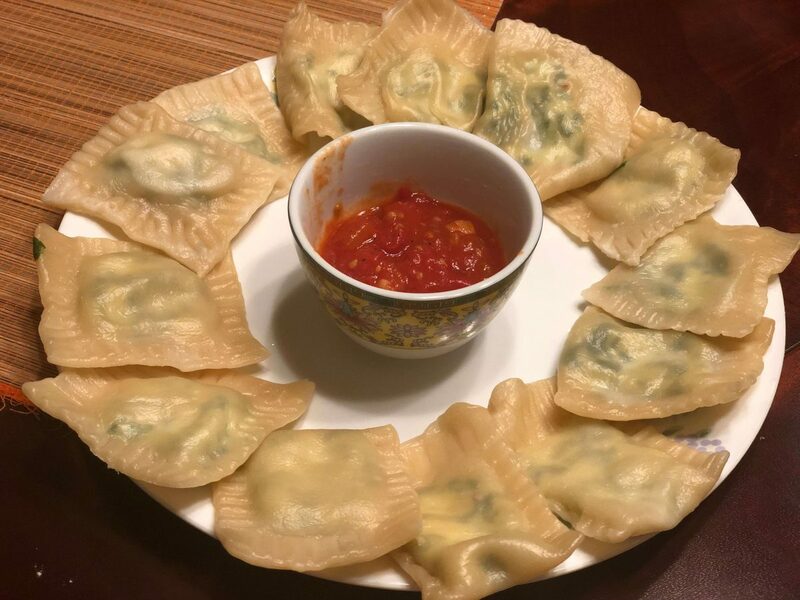 The results were amazing delicious homemade ravioli, enough to feed 3 of us for dinner, and freeze a couple of servings for my daughter for a busy school night! Win-win-win! 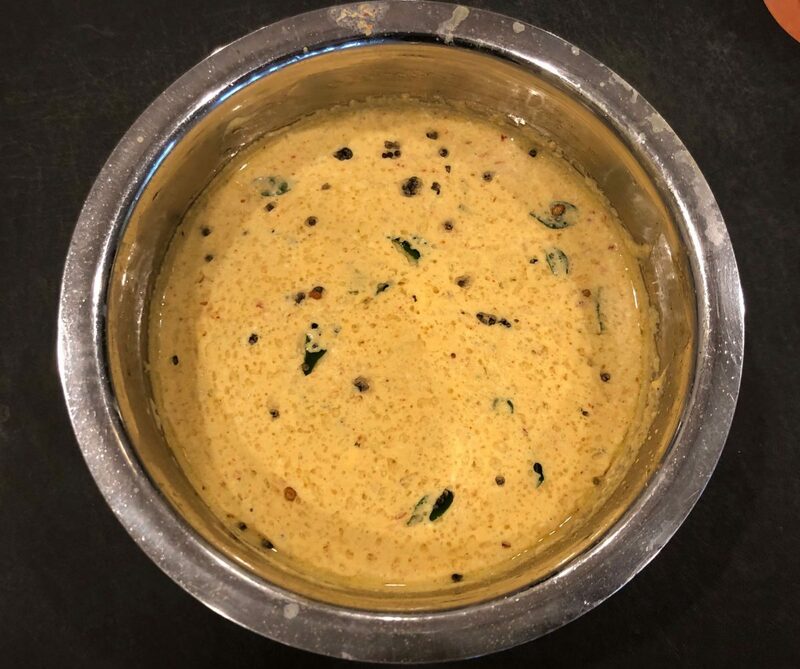 This kootu, also known as thiruvadirai kootu is a medley of a minimum of 7 vegetables, made on the day of Arudra darshan in the month of margazhi/December, in honor of lord Shiva. Traditionally it’s accompanied by a sweet rice dish called Kali. It’s made with the freshest produce of the season, which is the winter season, and includes squashes, gourds, and root vegetables. 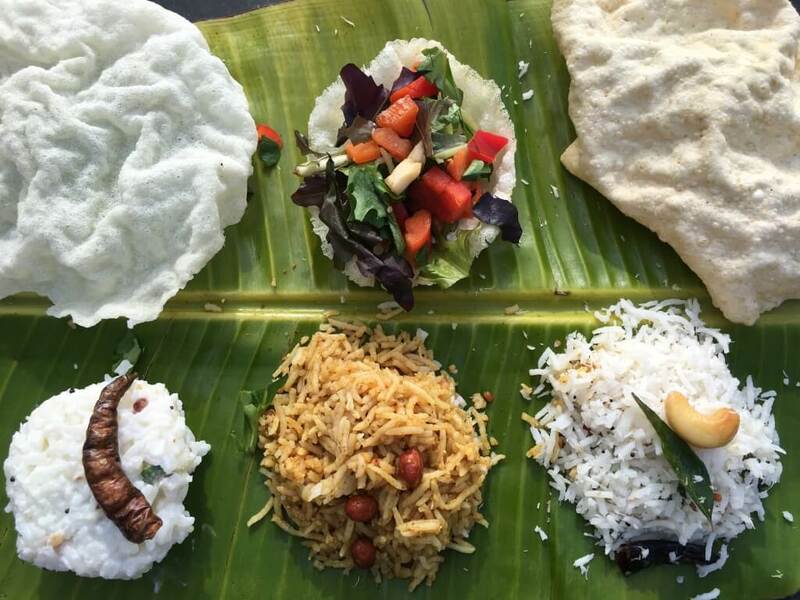 This recipe is sourced from Meenakshi Ammal’s Samaithu Par book. It is a completely balanced dish, loaded with vegetables, protein (dal), fat (coconut), spices and tamarind for sourness. On to the recipe now!